Possessing the Treasure is structured in such a way that it is highly visible to search engines such as Google. If you do not want your identity connected to a comment on this blog to be visible to the search engines on the Internet then I suggest that you either refrain from commenting or use a handle or alias instead of your real name. What is published here is simply my take based upon my research into the topic about which I write. I am paid nothing for this. I do attempt to give credit to my sources, but there are times when it is just too overwhelming to do that within each article, especially in a series that takes weeks to put together. I do use text such as commentary from the following sources that I may or may not reference in each article. I use the ESV Study Bible quite a bit as well as the Reformation Study Bible and various sources from C.H. Spurgeon, William Tyndale, et cetera. I do attempt to give credit where credit is due, but often there just isn’t enough time to do that. In other words, much of what you read here was inspired by those sources and I may quote from them extensively and I will do my best to reference them, but there may be times when I will not do so. For most of the first year Possessing the Treasure was online I allowed wide-open comments without Moderation being turned on. However, in late 2006 it became apparent that something had changed. I began receiving many disparaging comments from those who seemed bent on changing the course of this ministry via intimidation and deliberate misrepresentation of facts. Possessing the Treasure is the main outlet for my writing ministry. When I write a post it always has a message or focus (or more than one) that God gave me as I studied my Bible. Sometimes I will write a post in response to some personal discussions with other believers or with those who oppose this ministry for whatever reason. Below are the rules of engagement for Possessing the Treasure. 1) Comment within the focus of the post. Stay on topic. If a discussion or a post has caused a question, but that question seems to be outside the focus of the post then contact me by using the Contact Me page. The link is on the masthead. 2) Remember, Possessing the Treasure is not a public forum. No ranting or raving about topics alien to what is being discussed here. 3) If you do not agree with the subject matter of a post or a comment that has been moderated, please remember that traditions are not equivalent to scripture. If you desire to contend with a commenter or me then it would be much more constructive if you would base your arguments from scripture. Never base them on emotional responses. If all you are going on is your church or religious traditions then your comment may not pass moderation. If it does, then I will probably address those deficiencies in a comment of my own. In most cases, however, I will either delete your comment and/or send you an email explaining why I did not post it. If you continually violate this premise, I will simply mark your comments as SPAM. 5) No Straw Man attacks, personal invective, or argumentum ad hominem allowed. 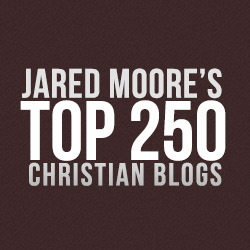 6) This is a Christian Blog with a specific mission. That mission is to shine God’s light of truth into the darkness so God’s elect will see their sin, turn from their wicked ways in repentance then walk in repentance for the rest of their lives. Please do not try to hijack this blog from that mission. If I detect that, then I will take action even if it means closing comments on specific posts and/or banning you from this blog. 7) Remember Possessing the Treasure is a WordPress blog with AKISMET SPAM blocking. AKISMET is very aggressive in blocking comments that have links in them. If you put one or more links in your comment, it stands a very high chance of being automatically blocked. I get so many of these (several hundred a day) that I simply delete them in mass. Perhaps these rules could be summed up in couple of statements: No blue language or rudeness will be tolerated in the comments. This is my site and if I don’t approve of your comments, off you go along with your comments! Lastly, if you are commenting in a negative way anonymously please understand that by not using your real name and email your comment will most probably not survive moderation. If you are so cowardly that you cannot state what you are trying to say and back it up by providing your real name and email then neither will your comment be posted except under the condition that I will use it as an example for a point I will make concerning it.